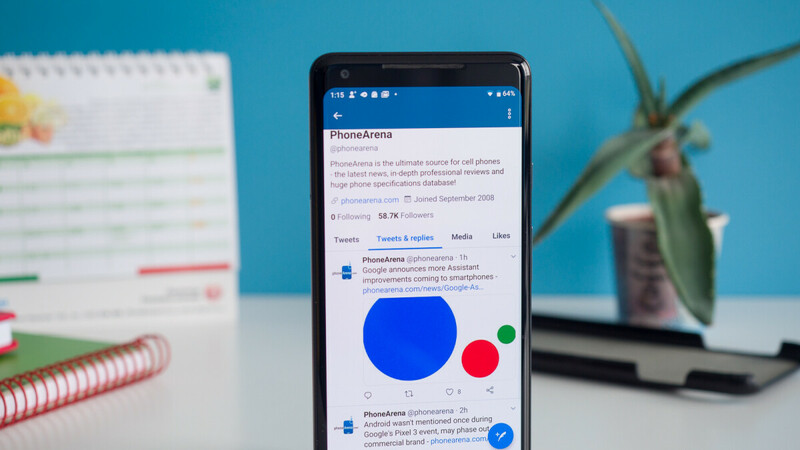 In recent weeks, Samsung has been spotted multiple times using iPhones to promote its own smartphones on Twitter. But now the tables appear to have been turned. Back in early November, Ariana Grande posted a tweet about her Christmas & Chill EP. The official Apple Music account subsequently replied to this with a link to the album. But, as revealed earlier today by YouTuber Marques Brownlee, this particular tweet was posted using Twitter for Android. Some people will argue that this isn’t a problem considering Apple Music is available to download on Android – which is true – but there’s no denying that it’s pretty embarrassing to see an official Apple account admin using an Android device rather than one of Apple’s own products. Especially when the amount of effort Apple puts into taking care of its image is considered. Despite this mishap, things could have been much worse. After all, the Cupertino giant could have used an Android smartphone to promote one of its latest iPhones rather than a service that is widely available to consumers. "But there's no denying that it's pretty embarrassing to see official Apple account admin using an Android device...." YOURE ABSOLUTELY WRONG!!!!! if you have a product, on someone else's platform, then the best way to encourage them to use it, is by showing its use with the product they are gonna be using. I dont understand fanboy logic. What you said was totally stupid and not ogical. Apple Music as you said is available on Android,. So why would you use an iPhone to promote Apple Music on Android? If Apple was promoting Apple Music on Windows, wouldn't it make since to use Windows? If BlackBerry made a new security implementation in collaboration with Samsung as an example, when they demonstrate the product, wouldn't it make sense to use a Samsung device? How much sense would it be to use an Apple product or one of their own if they are trying to promote their software on another platform? In your incessant hate of everything Samsung or Android, you guys say and do some of the most stupidest stuff, and then you have nerve to get mad if you get ridiculed for it. I'm sorry you're wrong!!!! As far as someone using an iPhone to promote something for Samsung? So what! It's a promo. No one except hating fanclub members will even give two shakes about what device was use to make the promo to begin with. You are aware that both Apple and Microsoft use each others products to not only make their own products as well but to demo them and for testing purposes. Right? I mean, when Apple was porting Apple Music over to Android. I'm sure they used Android SDK and tested it on a real Android device right? I mean how else are they gonna be able to make application?! If Mr Spock was a real person he would tell you that you sound illogical. That's the nice way of say it. What you said was plain wrong and complete stupid and actually shows your complete lack of an open mind and total bias. But Apple Music is Available in Android too. Are you OK now buddy? LMAO This is funny. The ifanboy talked so much s**t about Samsung doing it and look now. And PA doesn't matter what apple was promoting, it's still an apple product using a android phone to promote it. I don't really see the big deal for either of them. The Big 6 is quiet as heck right now. Quit changing icon packs and get a life like the Big Six. I mean everyone has to try the competition right? It's also called free publicity. Sites like this catch wind of it and turn it into a clickbait article...churn up the comment section for lots of clickback opportunities. Peaceboy is currently threatening to jump from the Eiffel Tower over this. Whoever wrote this is fcuking stupid! You belong to those who file suits to apple for notch ads and iphone resolutions and pixel. 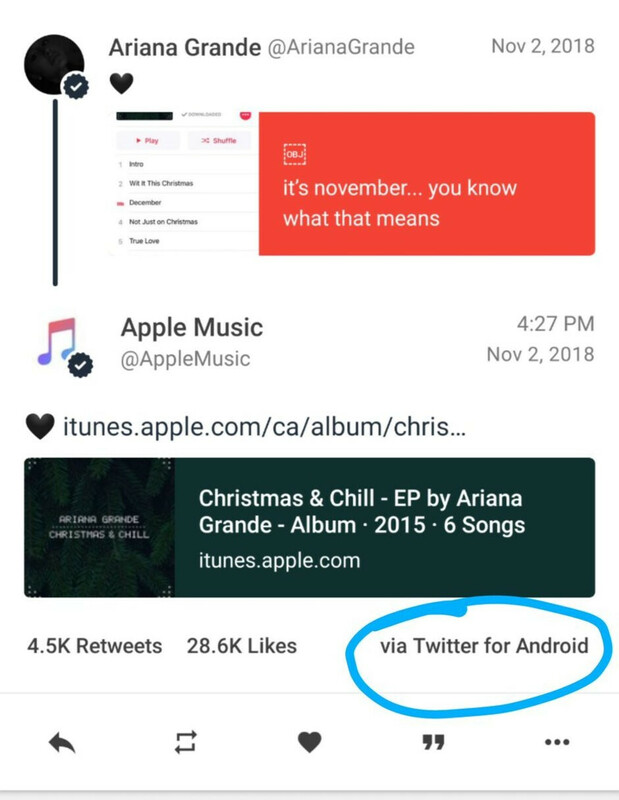 Apple is using an android because its promoting an Apple Music on ANDROID. How would an android costumers knew the interface of Apple Music if Apple uses an iphone to promote to Android? Its different compared to Marketing failures of Samsung. You mad bro? When you jump, do a flip. It's the same. Don't try to twist it. Android uses iphone to post official things all the time.